NTR Biopic is now the most happening movie coming for Sankranthi 2019 being directed by Krish. The trailer released an audio launch event was a grand success as it has evoked a tremendous response from the audience. There were many doubts on who is playing Balakrishna role in NTR biopic. 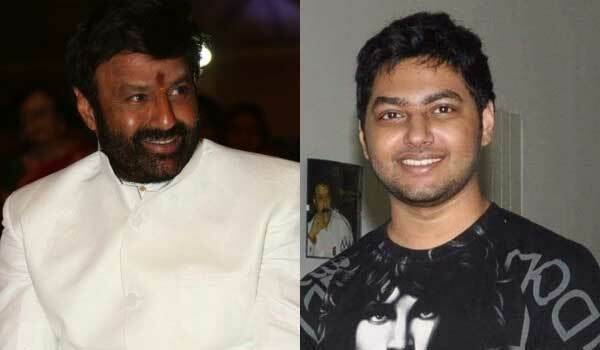 There are speculations that Mokshagna will be playing his father’s role Balakrishna in NTR Kathanayakudu and Mahanayakudu. But the latest news is Krish is not ready for roping in Mokshagna as he did not shed his weight as said. It may take more one to two years for the debut of Mokshagna reveals sources. NTR Biopic features vidya Balan, Rakul Preet,Suman, Rana Daggubati and other star cast in prominent roles.